A very good friend on mine scored what I think could be deal of the century. He is a VW collector and has restored/modified many air cooled VW's over the years. He is not that familiar with Porsches and has asked me to give him advise as to what he has purchased and what he should do with it. 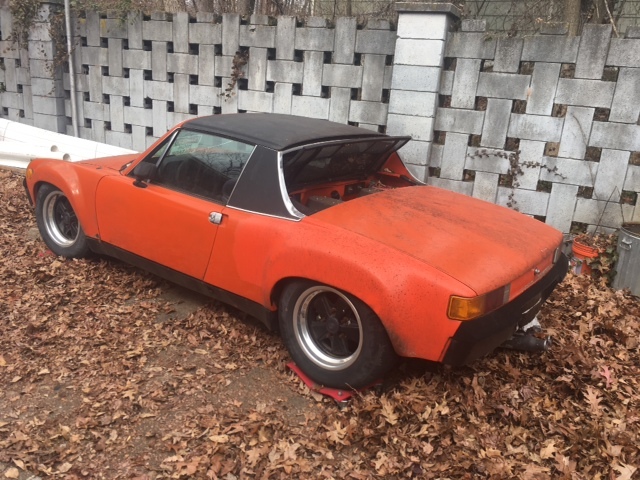 I got a call this past Sunday that he purchased a Porsche 914- 6 from an estate for $1000.00 !!! Of course, the first question I asked was what the serial number was to determine if it was a real "6". Turns out that it was a '74 converted to a "6". From the pictures it looks like it has an early naturally aspired 911 motor. My question is where is the serial number on the motor? We are curious as to how old the motor is and determine what the displacement could be. 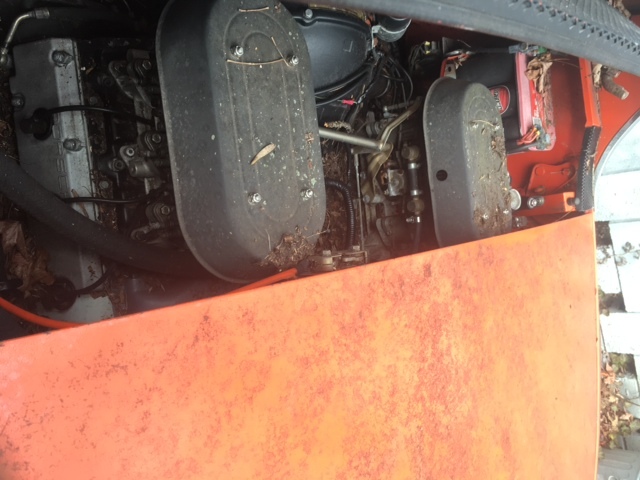 The motor does turn and there is no outward signs of rust including the Hell Hole. Tomorrow I will accompany him to inspect further and take some more pictures. I would like to find the engine number at that time. I think most 911 engine numbers are near the fan shroud. An expert will chime in soon I bet. 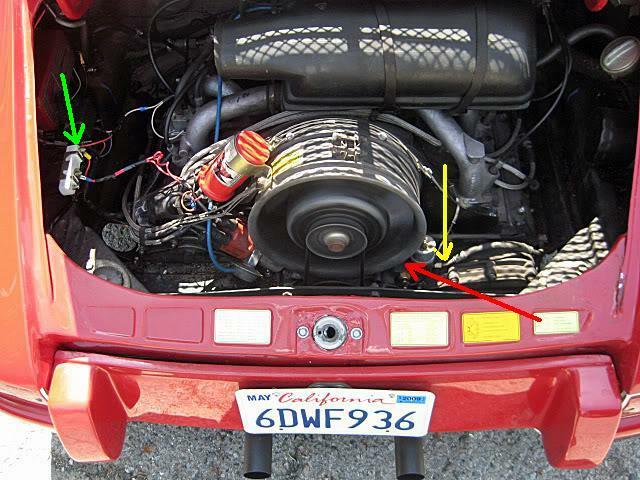 You can find the engine # on a 911 engine to the right of the fan on an "upright" support near where the fan shroud meets the right cam chain housing (facing the fan). Will I have to remove the right air cleaner? One Lap of America in a 914! Nope. Stick your camera in there and take some pics. You'll find it. Thanks. I will post more pictures tomorrow. WOW!!!!! That has got to be the best deal ever from what is indicated so far. Hope so, probably can buff out the paint too? What a dream to find a six, even an original four with a six. That setup in running form would cost about $30k to build. If you have to rebuild that engine it may still run you a pretty penny, but you've got a great starting point. That's a great find for the price! Do us a favor and post updates on what you have to do to get it running. (IMG:style_emoticons/default/blink.gif) Wow and I thought my boy scored a deal. Doesn't matter if that car is a total POS, just in parts seen it's worth more than 4x what he paid for it. You can use your iPhone to take a picture of it. Location is as noted on the drivers side next to the fan. 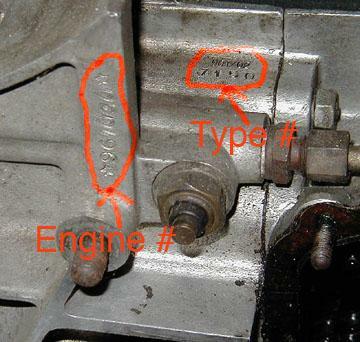 The type of motor is located facing up close behind the engine serial number. This may shed more light on what engine you have in the car. The carbs alone are worth twice what he paid. I wonder if the flares are steel and if they were well done? Since it has warts, I'm betting glass. It just seems to work out that way most of the time. surface, you'll need a mirror to see it. The type number will tell you what it started life as. This format.... 901/ ?? or 911/?? or 930/?? Google it.... "911 engine number location"
This is from Pelican. I guess it is gonna be tuff to see with all the leaves in there and with the engine turned around. Post says RED arrow in the S#, yellow arrow is the type. 6 = Engine designation, 6-cylinder unit. 0 = Model year 1970 (basically same as ’71). 2183 = Sequential number (Sportomatic would be 8xxx). I closed the page... but I think it was some kind of resistor. It just goes to show you that there are still a few of those cars sitting out there!